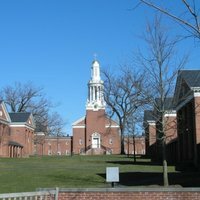 Few schools have a rich history to rival that of Yale Divinity School. Indeed, Yale University itself was founded as a training ground for Congregationalist ministers and counts the great American philosopher/theologian Jonathan Edwards as an early alumnus. By 1822, in response to student requests, the beginning of a separate school of Divinity had begun with the institution of a professorship in theology. 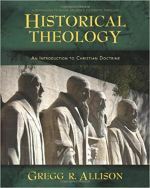 The first professional degree in theology (the Bachelor of Divinity, now known as the Master of Divinity) was bestowed in 1867. Its alumni include such noted figures as Diogenes Allen, Hans Frei, Stanley Haeurwas, Reinhold Niebuhr, H. Richard Niebuhr, and R.A. Torrey. Students at YDS have the chance to study not only with the world-class scholars in the divinity school, but can also pursue interdisciplinary study within the larger university, including the relationship between the arts and worship, particularly within the Yale Institute of Sacred Music. The academic life at YDS is at once rigorous and broad. The school offers the MDiv, MAR, MAR (with concentration), and STM. The MA and PhD are also available, but offered through the Yale Religious Studies department. Divinity students have access to all Yale resources, including a world-class library system, with over 11,000,000 volumes total. Students may concentrate their studies in a wide array of theological disciplines, from Bible and Church History to Philosophy of Religion and Religion & Literature. Yale offers many opportunities for its students to come together outside of the classroom. There are daily worship services at 10:30 am in Marquand Chapel, led by members of the Yale Divinity community. St. Luke’s Chapel, close to the main Divinity School campus, offers morning and evening prayer services. There are also numerous student associations based on a wide range of beliefs (from evangelicals to non-believers) as well as shared political, cultural, and ecclesiastical backgrounds. Also, as members of Yale University, Divinity students enjoy access to the rich array of on-campus activities, from the Yale Peabody Museum of Natural History to the Yale University Art Gallery. To exercise the mind as well as body, students may use the Payne Whitney Gymnasium, a sprawling complex that offers access to nearly every type of indoor sporting activity, from fencing and gymnastics to dance and martial arts. Students also have access to the Yale Health Center, providing 24-hour care as well as many free or highly subsidized services. Yale offers several on-campus options for its students, both single and married. There are shared two bedroom apartments, as well as numerous one and two bedroom apartments available. A few furnished apartments are available. In addition to Yale Divinity housing, students are eligible for graduate housing complexes managed by the university. Numerous off-campus options are available as well. Due to its generous endowment, Yale offers substantial financial to qualifying students, over 90% of the student body. Both need-based and merit-based financial aid are available, though the number of merit-based scholarships (including the Marquand Scholars and William Sloane Coffin Scholarship) are relatively few. Numerous on-campus and off-campus jobs are relatively easy to find as well.